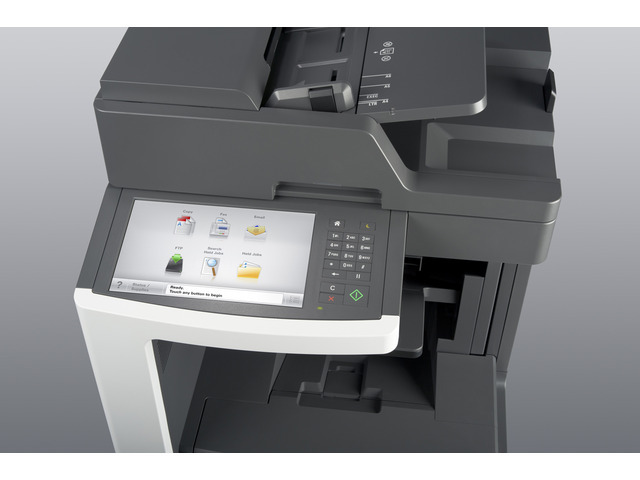 The Lexmark MX810de MFP with a customisable e-Task touchscreen, 500-sheet offset stacker, 1,200-sheet standard input, 1GB of standard memory and a 160+GB hard disk provides print, copy, fax, email and scan functions. 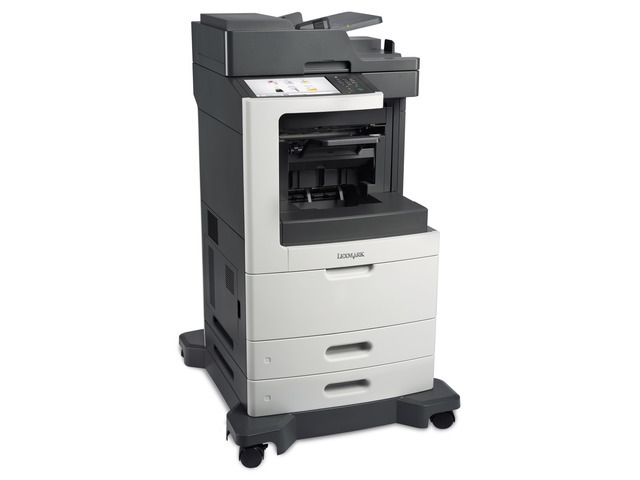 With a maximum input capacity of up to 2,750 sheets and an extra high-yield toner cartridge, you won’t have to add paper or change cartridges as often. 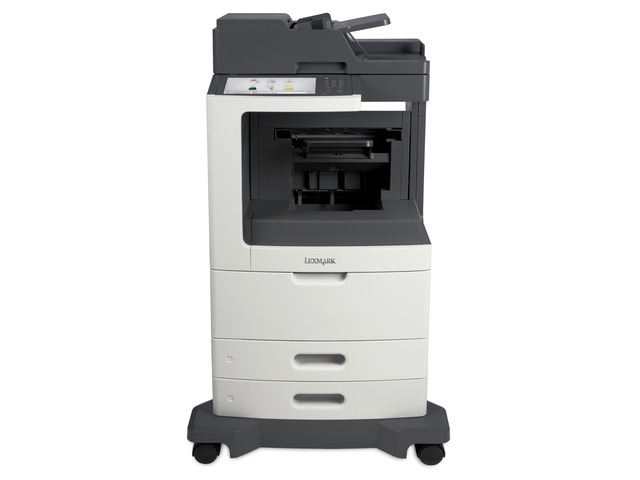 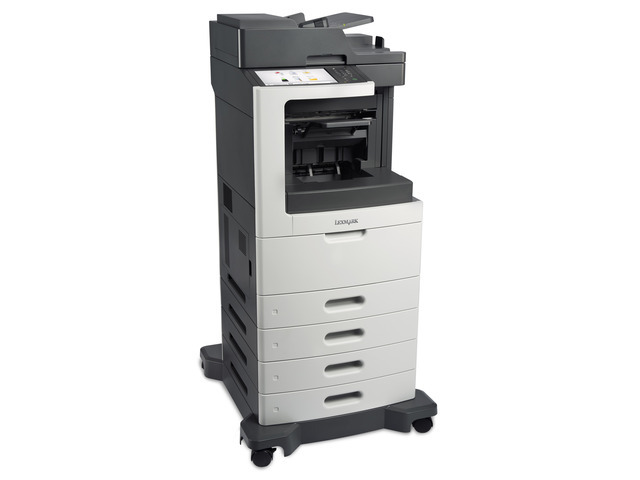 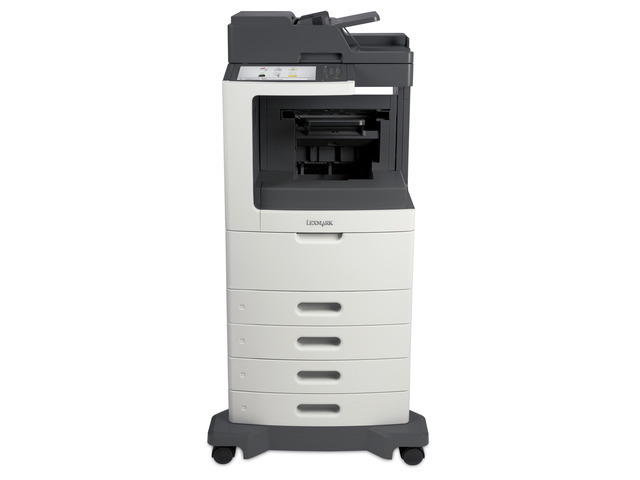 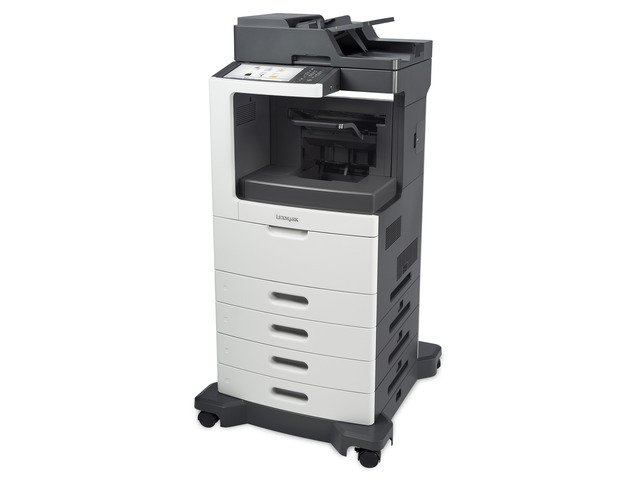 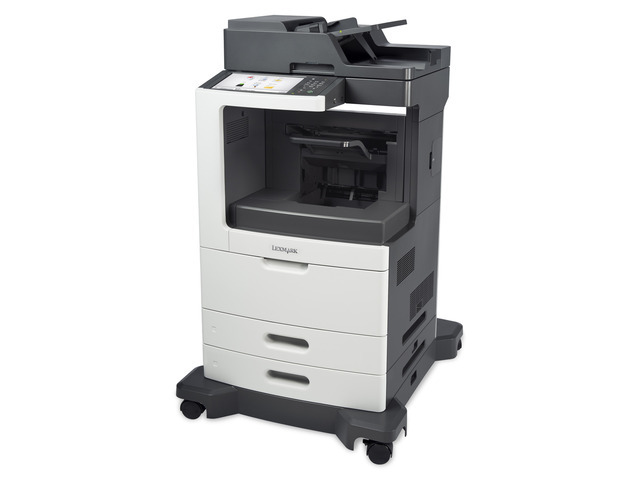 Enjoy print and copy speeds from 52 to 60 pages per minute, produce your first page in as little as 4.4 seconds and rapidly scan a double-sided document in a single pass.